A new sign is going up on a storefront in Hubbard, Oregon. Simplot Partners has taken over the former Nursery Connection LLC store as of February 27, 2018. 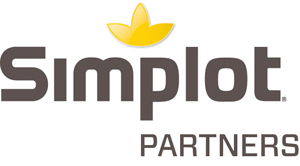 The purchase of certain Nursery Connection assets allows Simplot to expand its distribution capacity in the Pacific Northwest nursery market, the company stated in a press release. The existing Nursery Connection sales and support team will remain on staff under the continued leadership of Mike Vandecoevering. The store will offer plant nutrients, plant protection, nursery containers, specialty products and maintenance options that are useful to Oregon’s growing needs. Simplot Partners will also carry product offerings such as GALXeOneTM product, a controlled release polymer-coated fertilizer for turf and nursery applications.